We are a high energy, fun loving studio that can tell your story, capture your moment, and your passion in a professional, creative environment. We offer Wedding, Children & Engagement Photography and Portrait Services in Litchfield, Nashua and Manchester, NH. 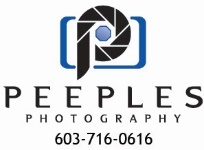 Peeple's Photography Studio is located in beautiful, New England farm country!